If you remember the days of graffiti, break dancing and DJ'ing, then you remember the young years of hip hop!! These were the years of break dance battles on the corners & in the clubs, which was a way the youth eliminated violence and battled in a much more productive way. Originating in New York City, break dancing can still be seen today in various choreography and in street dancing. Breakdance (the megamix) is a collection of some of the greatest break dancing music ever... from Melle Mel & Arthur Baker to Shannon & Cybotron. At 7 minutes long, this mix will bring back memories to all of you who remember these great years. 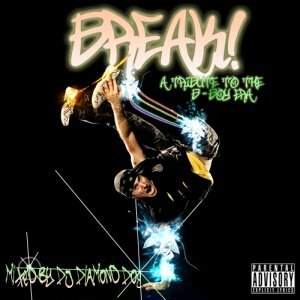 This megamix features several tracks from the forthcoming mixtape Break! (A Tribute To The B-Boy Era). Upbeat!! New Beat!! New Sound!! Music (the Rabid Remix) breaks all the rules and features some of the game's top artists ( Missy Elliott, Ludacris, the Gorillaz, Pitbull, Bone Thugs, Reel 2 Real & Sean Paul. 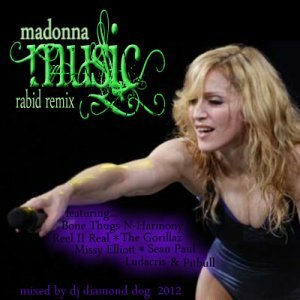 The rabid remix turns Madonna's original track into somewhat of a club style & urban dance mixture with plenty of samples and breaks!! Be sure to sample and download this full single remix!! As always, the download is free and features 5 different versions... the single version, the extended version, instrumental, acapella & a semi-instrumental with hook!! You can sample all 5 versions at http://djdiamonddog.com. Remember those high energy club tracks that were so popular from the late 80's right into the early 2000's? These were the songs that everyone loved. 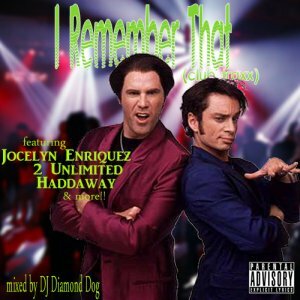 From house music to breakbeats to eurodance... it's all here on I Remember That (Club Traxx)!! With 43 of the all time hottest dance tracks of all time, I Remember That (Club Traxx) will get your house party, bar, or get together ROCKIN'!! Featuring some timeless artists such as 2 Unlimited, Haddaway, the Prodigy & more, this one will appeal to everyone!! Be sure to sample and download this classic!! And please tell all your friends to visit djdiamonddog.com to get mixes for all occasions! !